USC’s Wrigley Institute and Marine BioEnergy propose an experimental project to produce a biofuel alternative. AVALON — Plans to build an experimental kelp cultivation system just off the shore of Catalina Island is slated to be debated by the quasi-judicial California Coastal Commission later this month, with the University of Southern California’s Wrigley Institute for Environmental Studies and Marine BioEnergy Inc. hoping to carry out a three-year test to ultimately produce a biofuel alternative. Marine BioEnergy believes kelp can be a viable source material to produce bio-diesel or biofuels, according to a Coastal Commission staff report. “As a feedstock for biofuel, kelp has the potential to provide an alternative to other biofuel feed stocks and fossil fuels that does not compete with food production on land, and does not require fresh water, pesticides, or artificial fertilizers,” a Coastal Commission staff report to commissioners stated. Coastal Commissioners will be weighing in whether the experimental project in the Catalina Channel can go forward at its May meetings in San Diego. The MarineBioEnergy-USC Wrigley Institute proposal is one of the first orders of business on May 10. 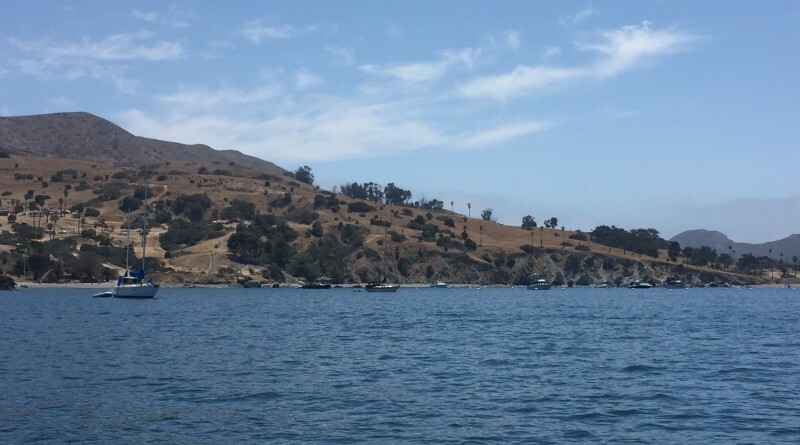 Marine BioEnergy could build up to four offshore test sites near Howland’s Landing at the west end of Catalina Island, meaning the experimental kelp farming project would be conducted within range of Two Harbors. The Coastal Commission is tasked with ensuring the BioEnergy proposal is the least environmentally damaging option possible. “No known project alternatives would meet the objective of the proposed project – to install and operate open ocean kelp cultivation equipment – without the placement of at least some fill material in coastal waters to maintain the equipment in place,” Coastal Commission staff stated. The project could be built and installed using a torpedo anchoring system, as it would use the smallest footprint, according to the Coastal Commission. However the proposed anchoring system is largely untested, increasing the risk of the equipment being abandoned in the open ocean. “If a torpedo anchor becomes deeply embedded, it can be very difficult to remove and may need to be abandoned in place once it is no longer in use,” Coastal Commission staff stated in a report to commissioners. “Given the untested status of the torpedo anchor systems considered by Marine BioEnergy, the potential need for them to be abandoned in place, and their uncertain effectiveness, their use would raise a variety of questions with regard to adverse environmental impacts. Satisfactory alternatives to the torpedo anchoring system were recommended in the Coastal Commission staff report. Other items to be considered by the Coastal Commission at its May meetings include possible decisions on a coastal permit application for a 48-slip marina redevelopment in Newport Beach and an appeal of the Redondo Beach Waterfront and boat launch ramp project. The Coastal Commission will meet at San Diego’s Board of Supervisors Chambers – located at 1600 Pacific Highway, San Diego – May 10-12. It would seem far smarter to harvest the non-native and highly invasive alga Sargassum horneri that has impacted the waters off Catalina. S. horneri is already used for biofuel and other purposes in its native Asian waters. Its presence here in SoCal has greatly altered the native kelp forest ecosystems in very harmful ways.